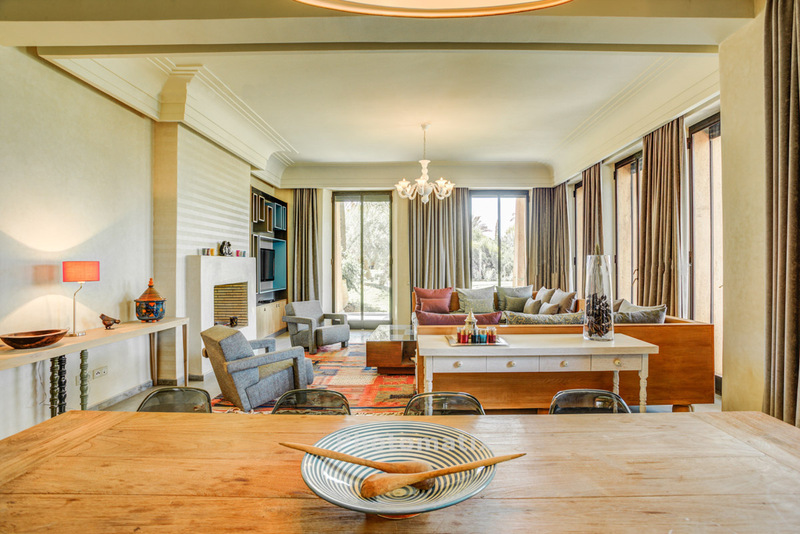 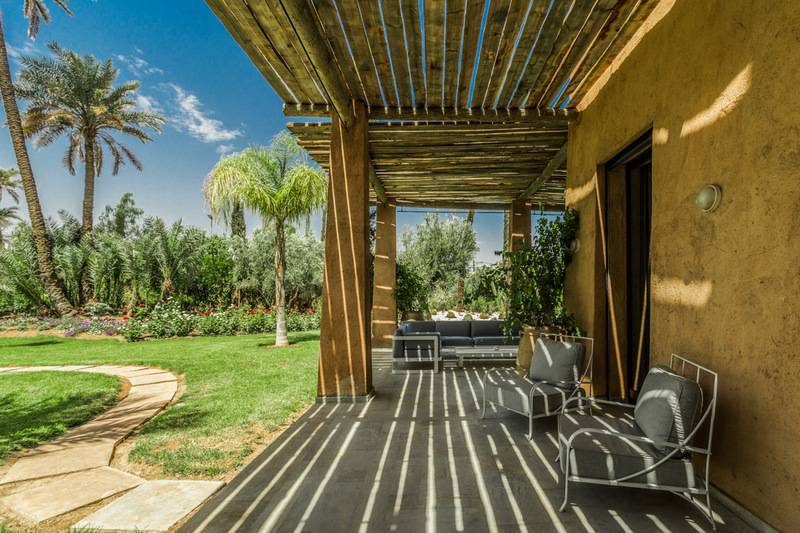 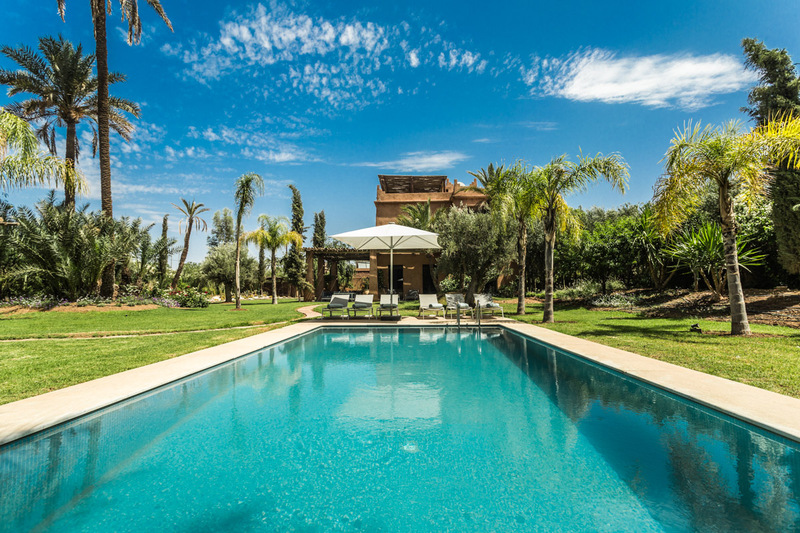 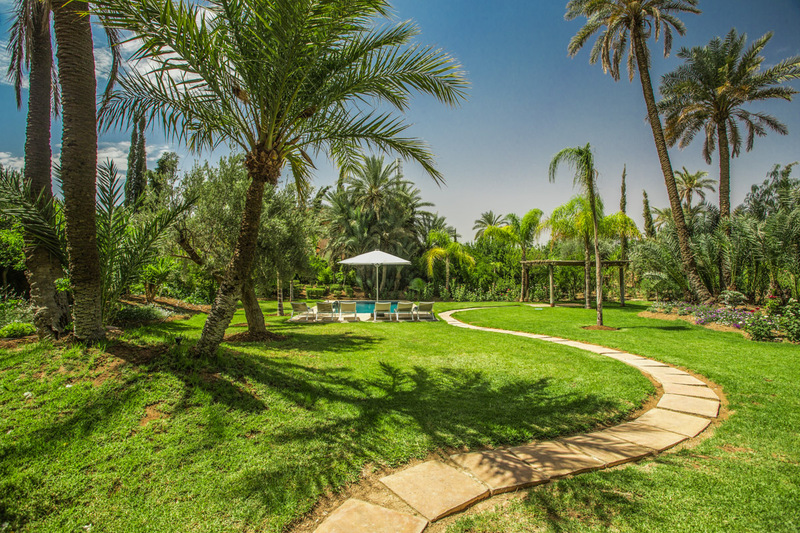 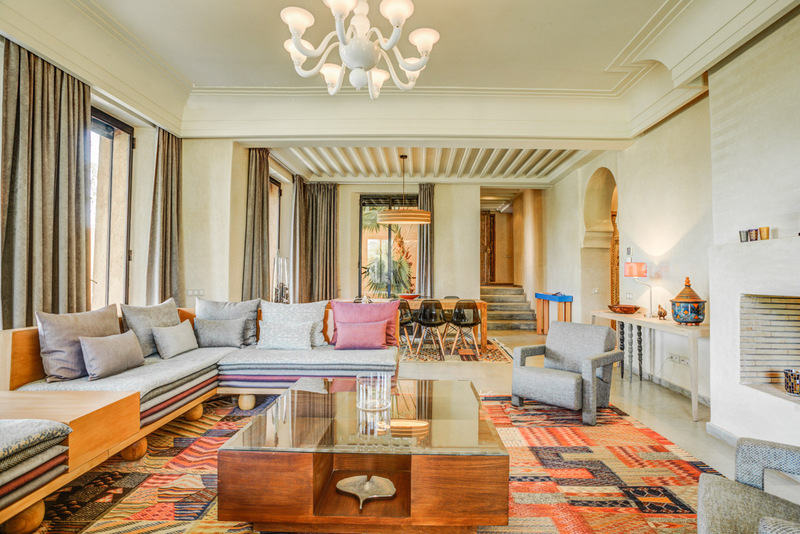 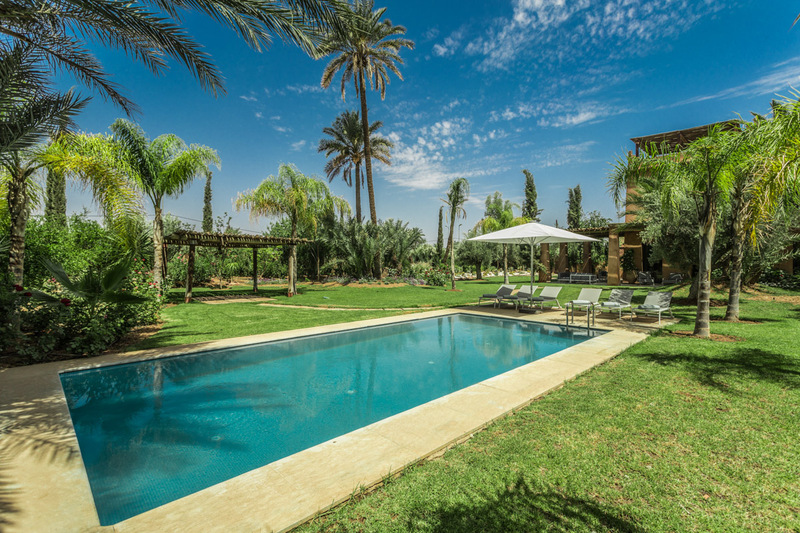 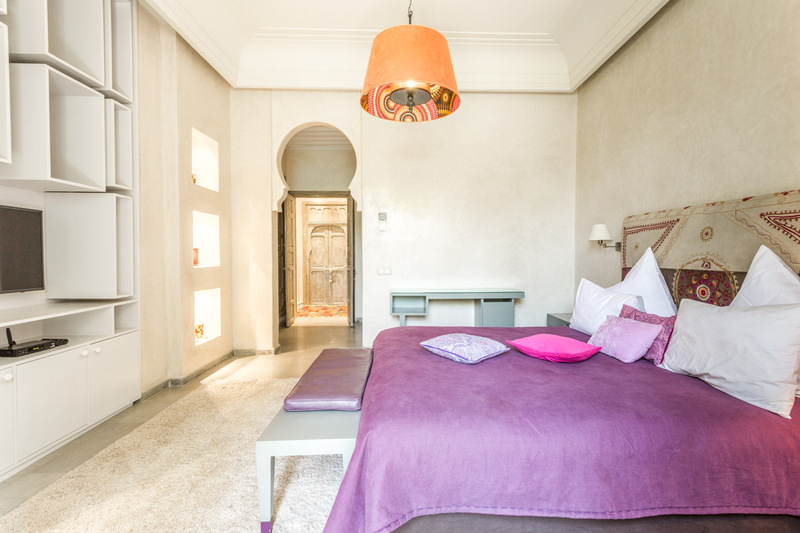 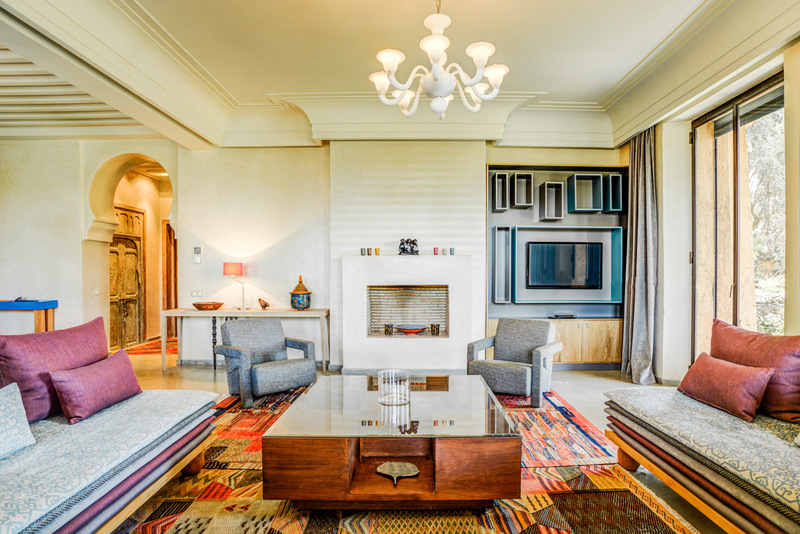 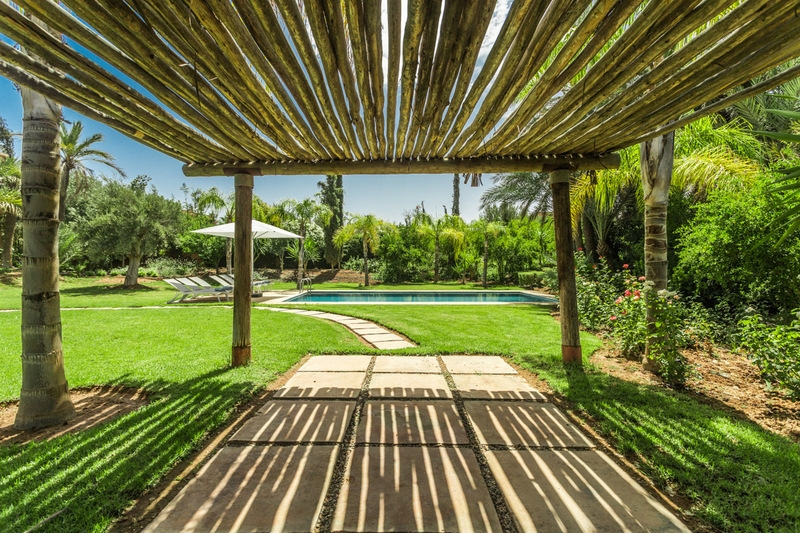 Envelop yourself in magical Marrakech in this opulent Moroccan villa. 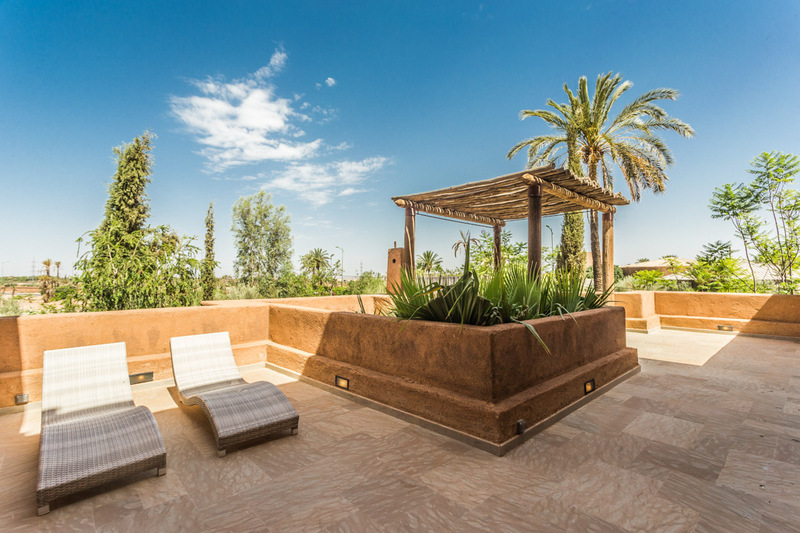 Exclusively nestled amongst the wilds of a nature park, this villa offers the best in modern amenities as well as raw nature, with the striking deep reddish brown tone of the exterior walls creating a warm contrast with the rolling green surrounds and accompanying clear blue sky. 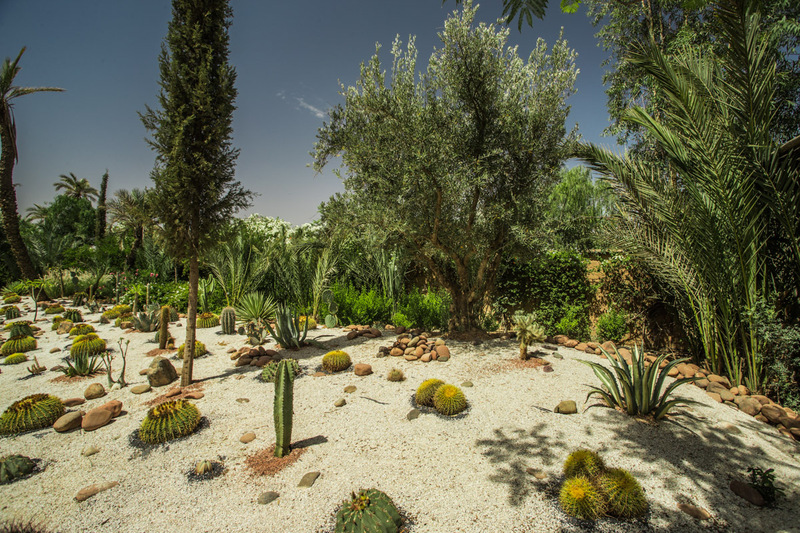 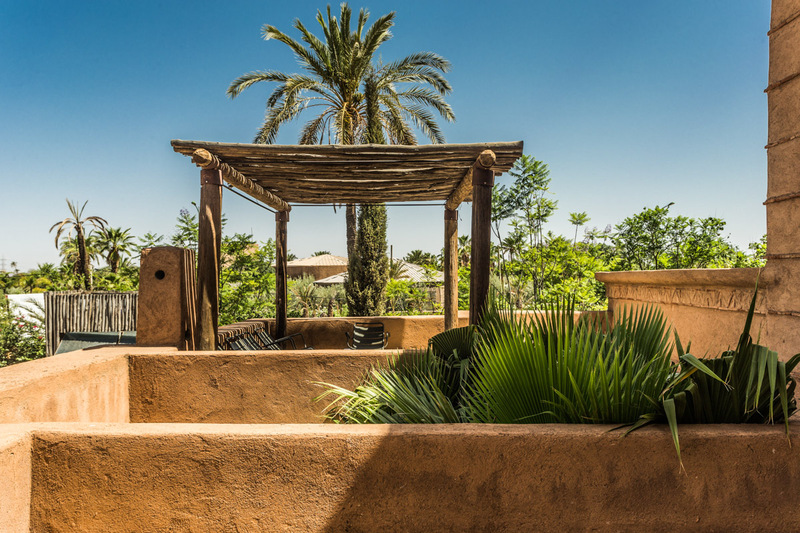 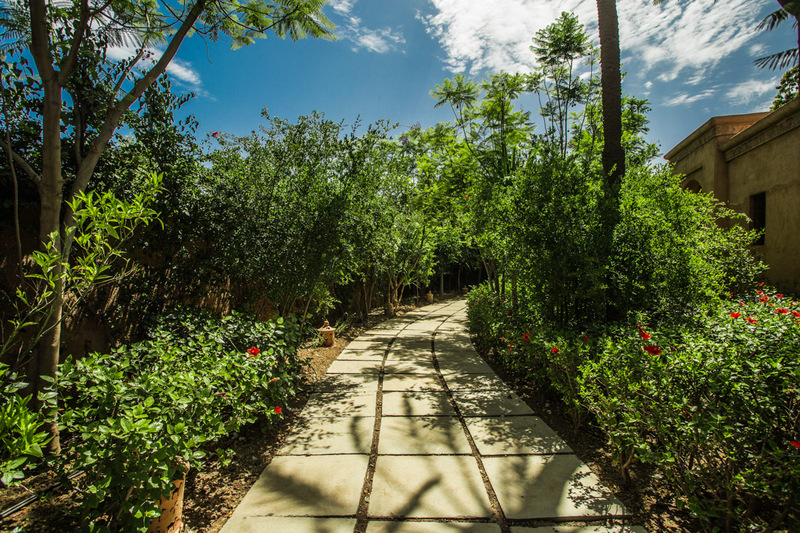 Simply stepping onto the balcony or into the garden can feel like guests are entering a completely different world, engulfed in such bare, natural beauty, beauty enough to inspire whims of imagination, ideas of Moroccan adventures and passion that could see you joining the lively bustle of the local Souk or even planning a desert escape. 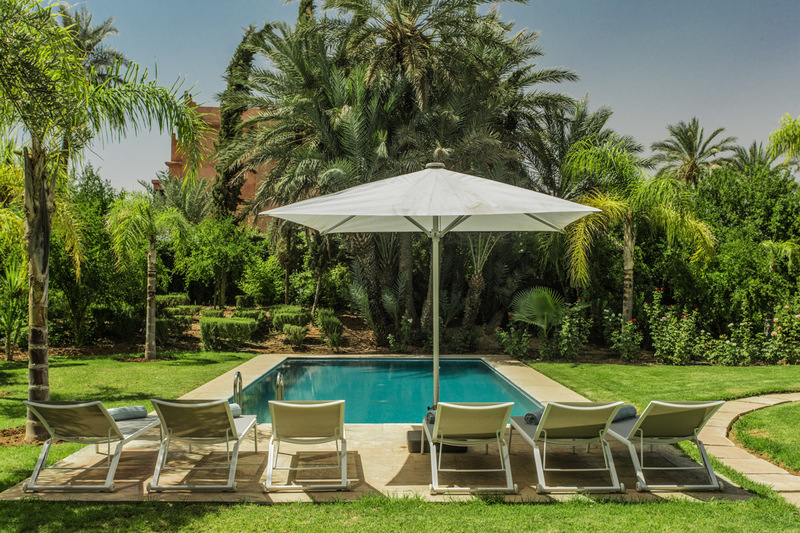 For deeper contemplation, why not take a dip into the cooling depths of the outdoor pool? 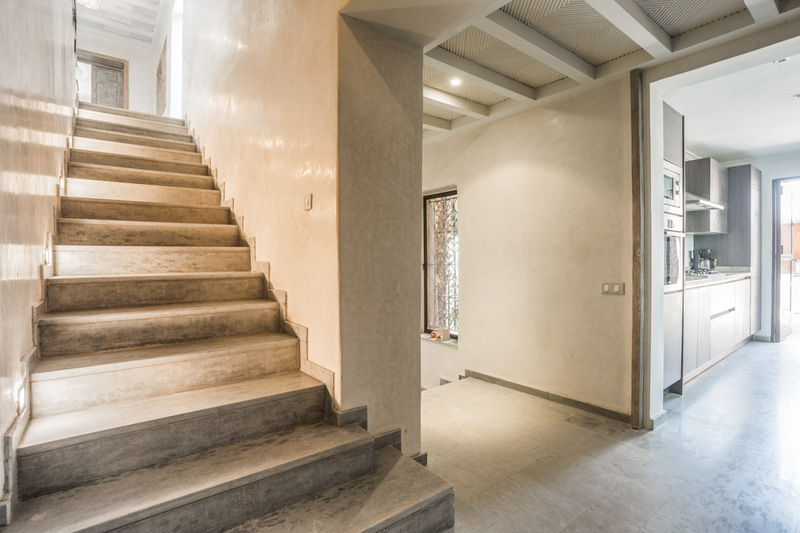 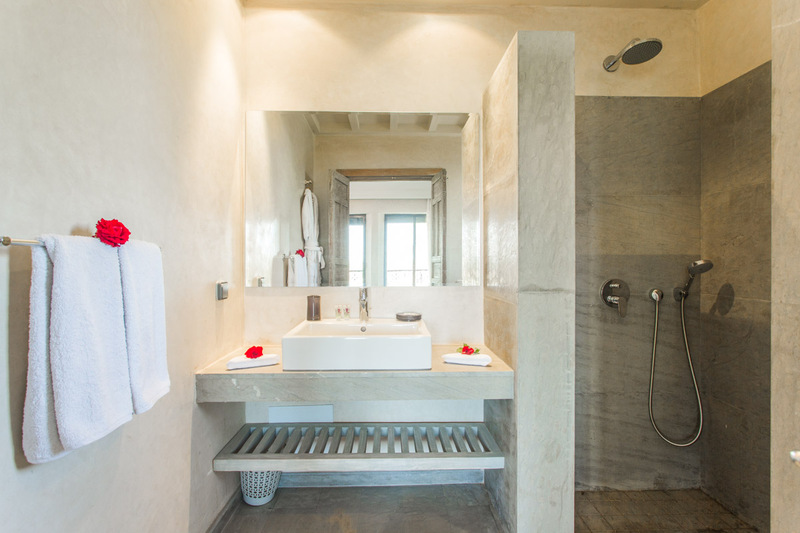 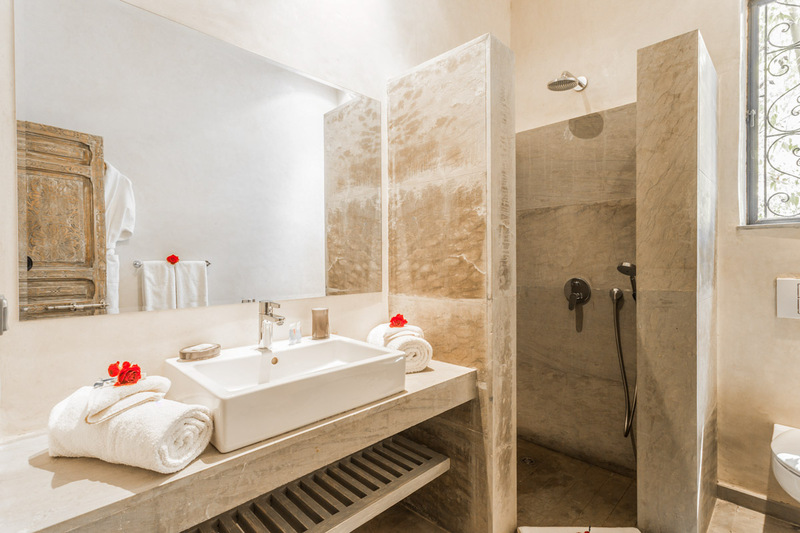 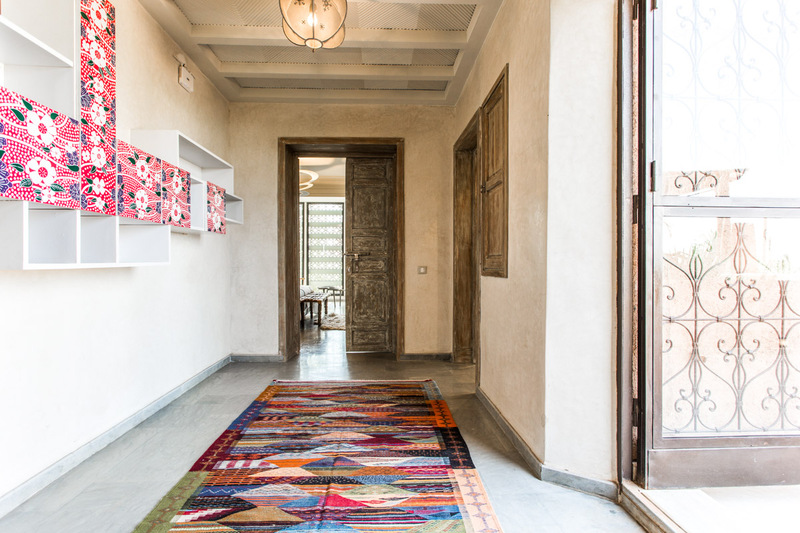 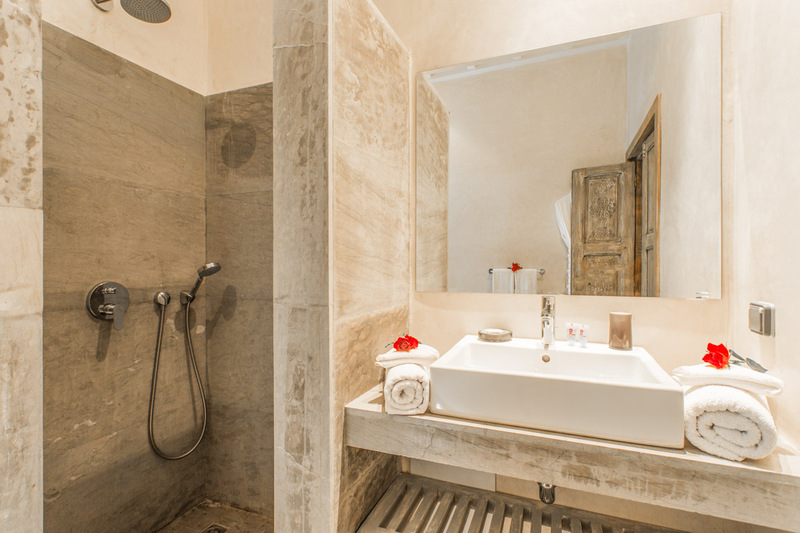 Stepping through the rustic front doors and upon exploring this villa, guests will be struck by the traditional details which softly finish the entire home, creating an atmosphere of culture, style and grand luxury. 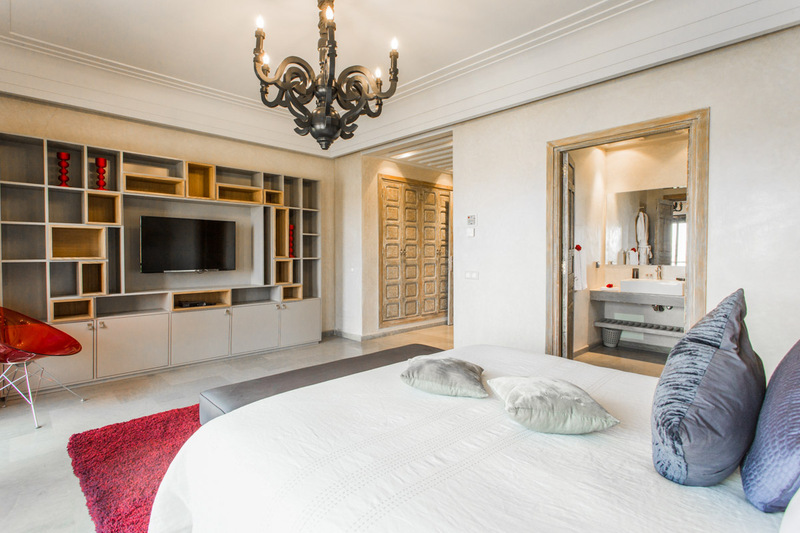 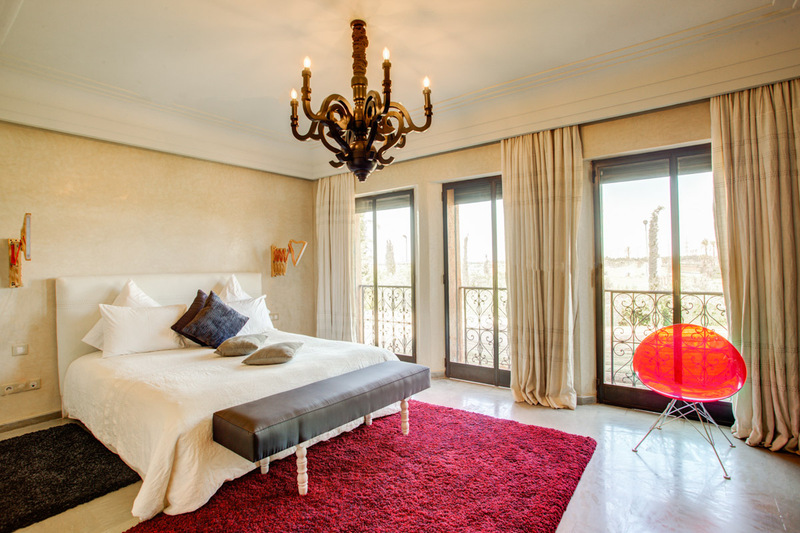 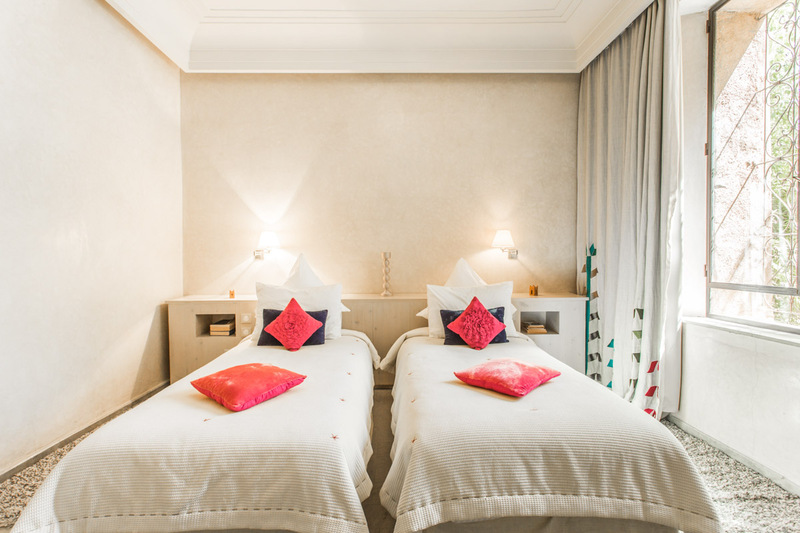 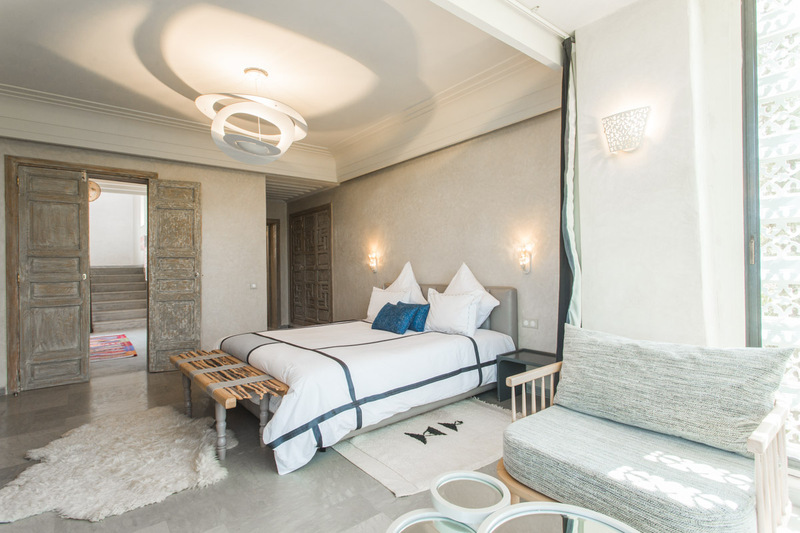 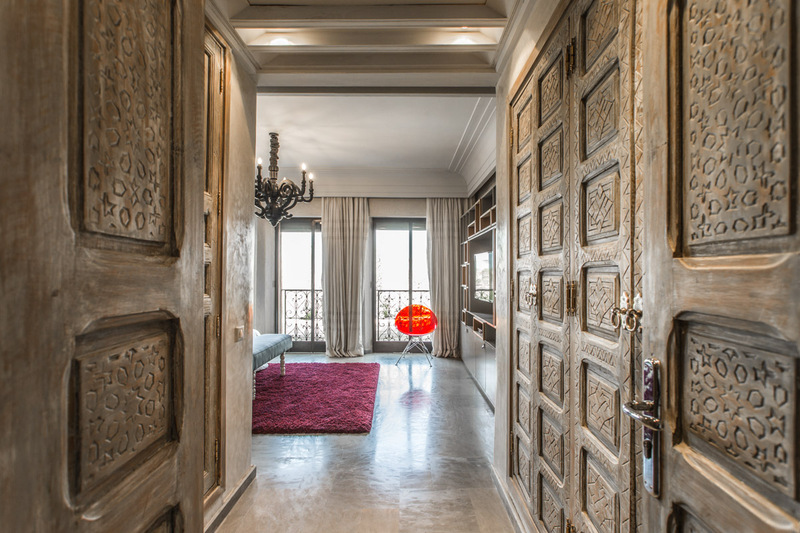 Each bedroom is carefully decorated in sandy beige hues, with large cosy beds and one more stunningly is finished with such ornately carved traditional doors that fit this home perfectly along with the dark, decadent chandeliers. 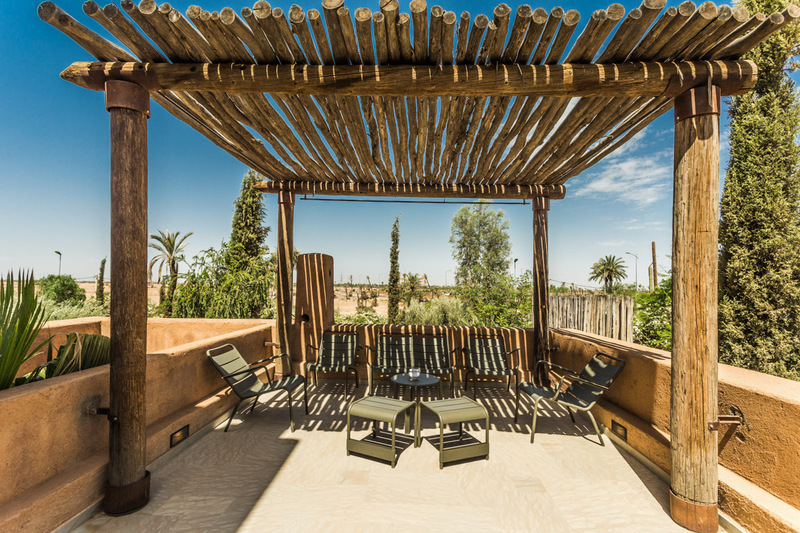 Set over two floors as well as additional roof terrace access, this home boasts four bedrooms and can comfortably sleep up to eight people. 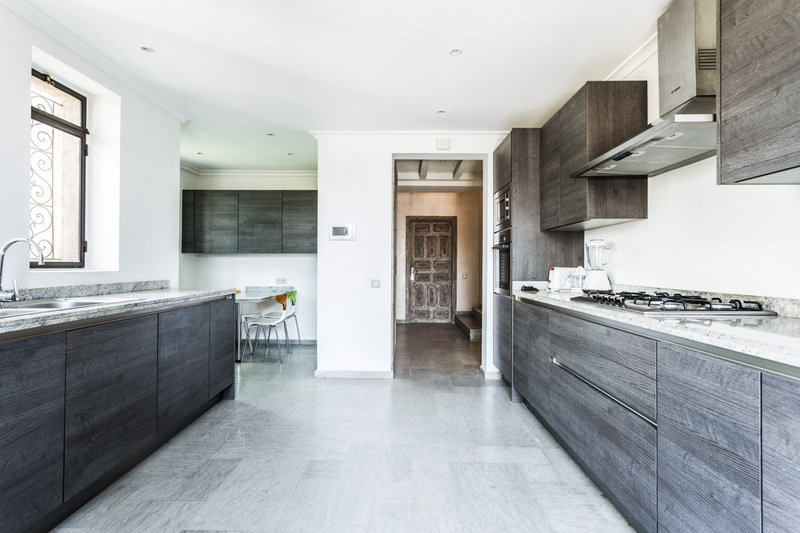 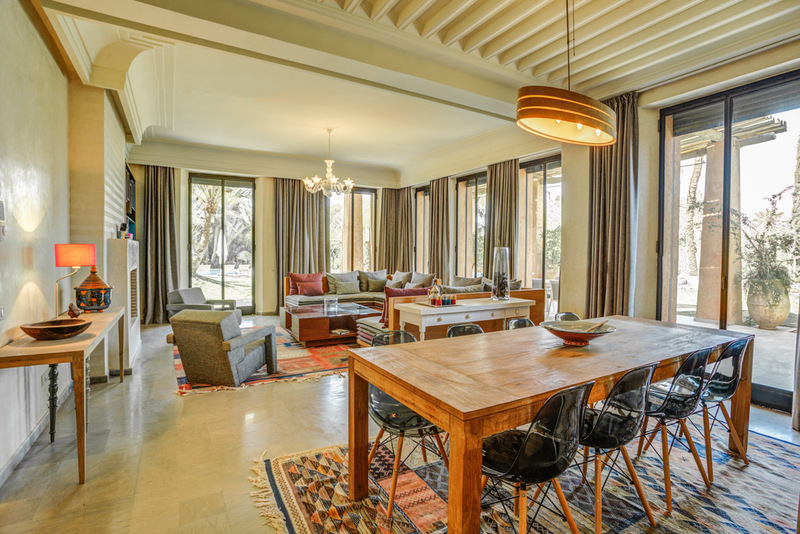 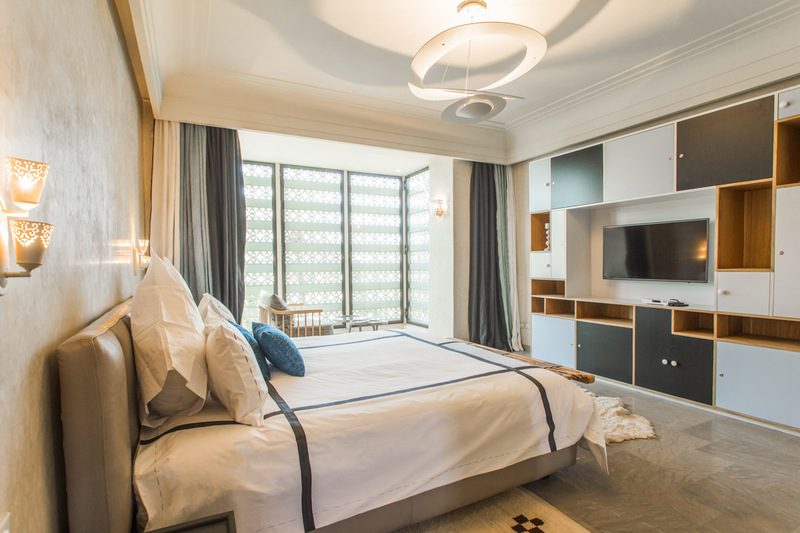 Outside of the bedrooms, there are a wealth of homely features including a well equipped, urban style modern kitchen, a dining which can seat every guest and a large lounge with enough room for everyone to sit back and relax.